During plan cost splitting, the system splits the activity independent cost of a cost center among the activities types of that cost center. Plan costs are split automatically during plan price calculation. 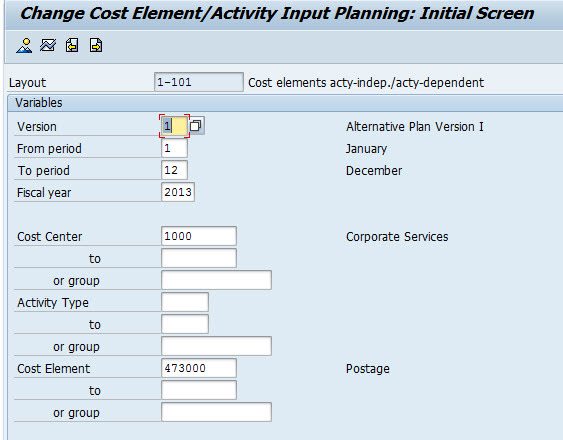 Here the step to split planning cost, you can plan activity independent and activity independent costs with transaction KP06 or the following SAP menu path. In this KP06 screen you need entered Version, Period, Cost Center, Activity Type. In this screen you have option of entering an activity type. Activity Independent Planning : If you don’t enter an activity type, then the plan you enter on the following screen is independent of an activity and all cost are fixed. Activity Dependent Planning : If you enter Activity Type then the plan is associated with that activity. You can enter fixed and variable costs. 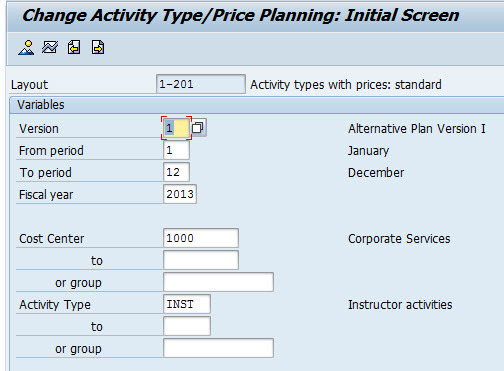 You can define equivalence number when manually planning activity price with SAP Transaction code KP26. After you entered all required parameter then click OVERVIEW ( F5 ). After you click OVERVIEW the next screen will show. The equivalence number ( EQUINO ) column default to 1. You can change this to determine the ratio used to distribute cost across activities. If you need more flexibility to determine how costs are allocated across activities, maintain a splitting structures. Each splitting rule is based on a splitting method for example splitting cost based on statistical key figures. You can maintain splitting structures via OKES SAP Transaction. After you define a splitting structures, you must assign it to the cost center that you want to split costs in according rule via transaction OKEW.